Leah the first wife of Jacob was the mother of Zebulun, thus the name reflects the relationship of this prototype to our 96' sailing yacht design Zebulun. The 120' sailing yacht Leah - II is a stretched and slightly wider and deeper version of the Zebulun, but in this case having a counter stern and aft raking transom. Classic...! The aim in this case was to create a large light displacement ocean sailing yacht with open accommodations and a focus on ultimate performance, but without sacrificing anything in terms of seaworthiness and sea kindliness. Scantlings of the Leah - II will be according to the requirements of the ABS Rule. Aluminum was chosen as the material for the entire structure for the sake of extreme ruggedness; ease of construction; a very favorable strength to weight ratio; in the interest of sailing speed and efficiency under power. 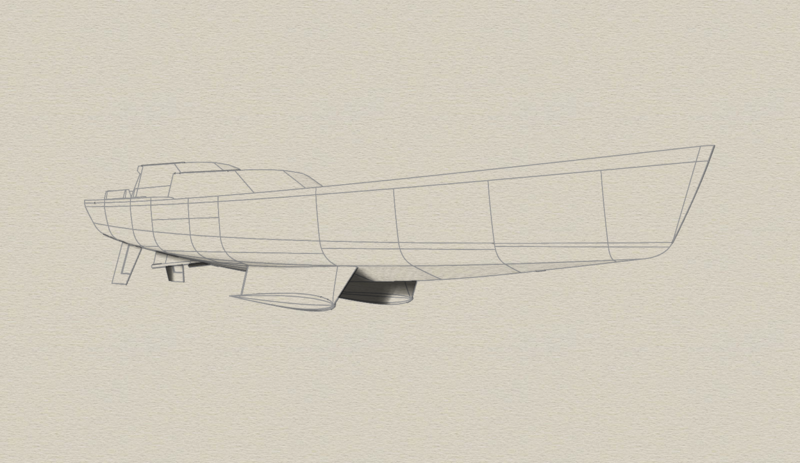 Interior materials will be light weight honeycomb panels wherever possible, further reducing weight. 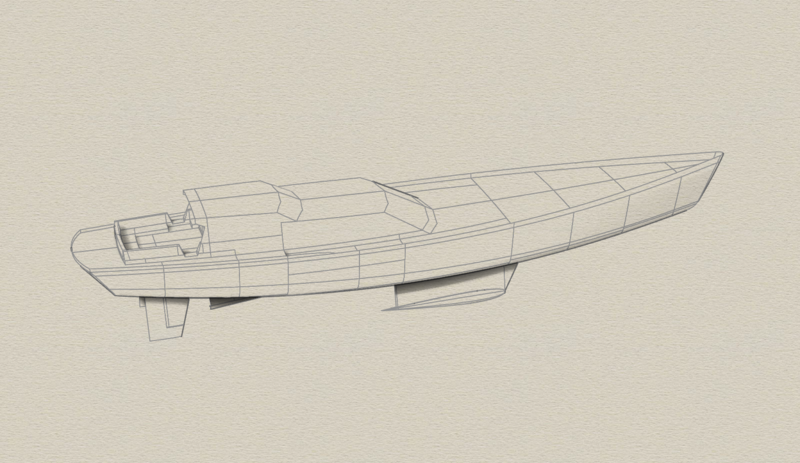 Interior finish will be to superyacht standards. In General: Standing headroom of 6' 10" is provided throughout the interior. Cockpit: The cockpit is arranged with wrap-around seating around a central helm and twin tables, one to each side. Pilot House: An enclosed pilot house contains a navigation station, pilot seat, helm and controls to one side, and a sette / pilot berth for enjoying the view on the other. Midship House: Forward of the pilot house, just aft of amidships, is a deck house containing a large galley to port aft, a day head to starb'd aft, and formal dining area / saloon forward. The goal with this layout is to create a luxurious yet cozy environment for everyday living, all on one level. Below Forward: Beginning all the way forward, a large forepeak is accessed via a deck hatch and ladder. The forepeak is dedicated to storage of sails, lines and anchor rode, plus having a bosun's locker and small workshop. The forepeak and accommodation spaces are separated by a water tight bulkhead. Immediately aft of the WT bulkhead is a VIP stateroom spanning the full width of the ship, and having an en-suite head and shower. Aft of the VIP stateroom are four guest / crew cabins, each with sleeping for two and access to a common head / shower. Aft of those cabins are two large luxury guest suites, one to starb'd and one to port, each having en-suite head and shower, with a central king sized berth. Each luxury cabin will have a vanity cabinet with sink, desk, bureau, night stands, and generous wardrobe. A central hallway provides access from the midships saloon to each of the staterooms. Below Aft: Just aft of the Pilot House, adjacent to the companionway is stairway leading down and aft to the owner's stateroom, located below the cockpit area. A 'Kong' sized 'island berth' is planned on center aft. To each side of the berth will be a long bureau and desk. Forward will be an en-suite head, shower and Jacuzzi to port, and walk-in closet to starb'd. Engine Room: Forward of the owners stateroom and directly below the raised deck house / galley / lounge are the engine room and mechanical spaces. On center is the engine space itself, containing twin diesels, twin generators, plus a 'pony' gen for use when the vessel is not fully occupied. Outboard of the engine room, and sound-isolated from the engine room, are a 'control room' aft to starb'd, and a mechanical space / machine shop aft to port. Also outboard of the engine room, forward of the portside machine shop is a laundry, and forward of the 'control room' to starb'd is a walk-in cool room, both accessed from forward. The engine space will be thoroughly sound proofed not only from the interior of the vessel, but also from the working spaces around it. A forced ventilation system and air conditioning will keep everything cool throughout. For maximum economy, long range cruising speed under power for this vessel is assumed to be around 10 to 11 knots. Top speed however is dramatically higher - on the order of around 18 knots while motor sailing or while under sail in the right conditions - potentially even faster whilst surfing in good conditions. This is by no means a slow yacht...! The Leah - II is planned to have a three mast rig, having the largest mast amidships, a smaller fore mast, and a smaller mizzen. This could easily be changed to being a ketch or two mast schooner rig, however the three mast configuration allows each sail to have a favorable aspect ratio, a more easily managed size, and a lower center of effort - all in order to permit relatively shoal draft. Sails will be fully battened with a large roach and an elliptical plan form. 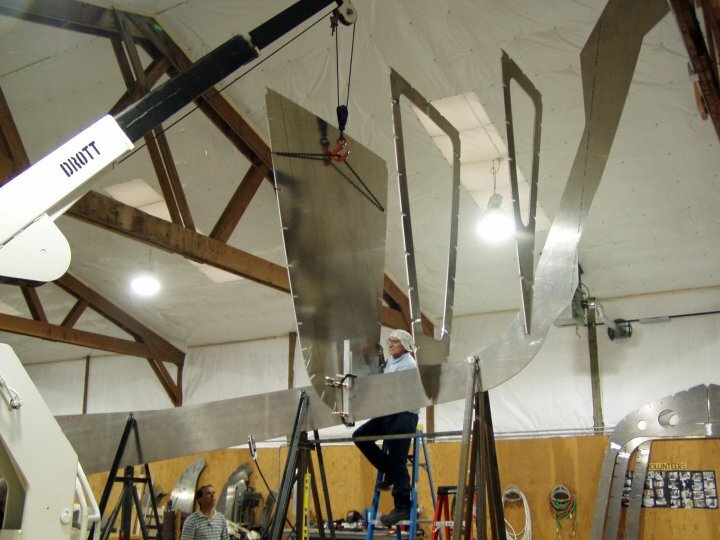 Each sail will be cut in order to take maximum advantage of its relative position in the rig. A large roller furling jib will be set to the forestay, and other light weather stays'ls will be set from the respective mastheads. Of course the rig is a matter of personal preference, and will be so arranged. The choice of rig will consider overall rig height and mast placement for maximum benefit to the interior. 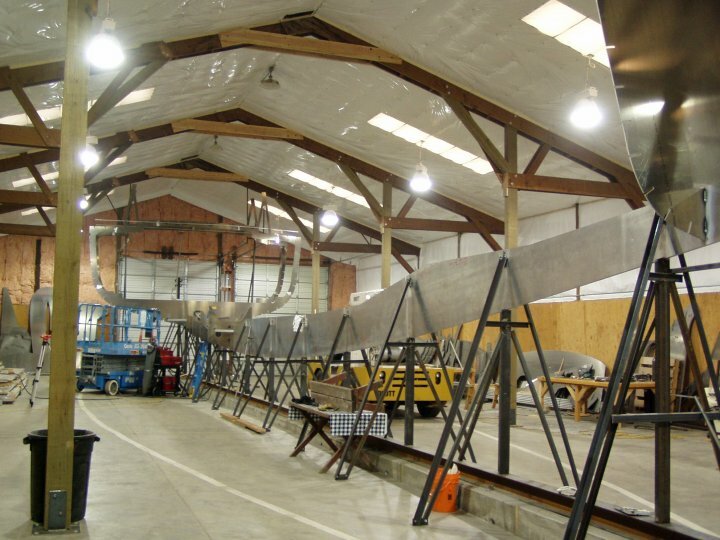 The masts and booms will be fabricated of aluminum. All spars are welded shut in order to be air and water tight. Halyards are planned to be external. Reefing is planned to be slab type with hydraulic winch assist. The rig is planned with swept back spreaders, allowing use of a single lower shroud and a single upper shroud per mast per side. Running backstays will be arranged as needed, if needed. 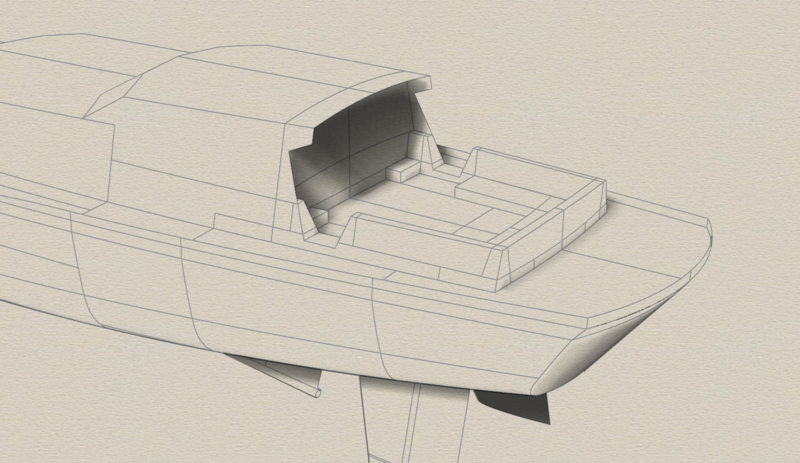 The hull and superstructure surfaces have been computer modeled and faired. 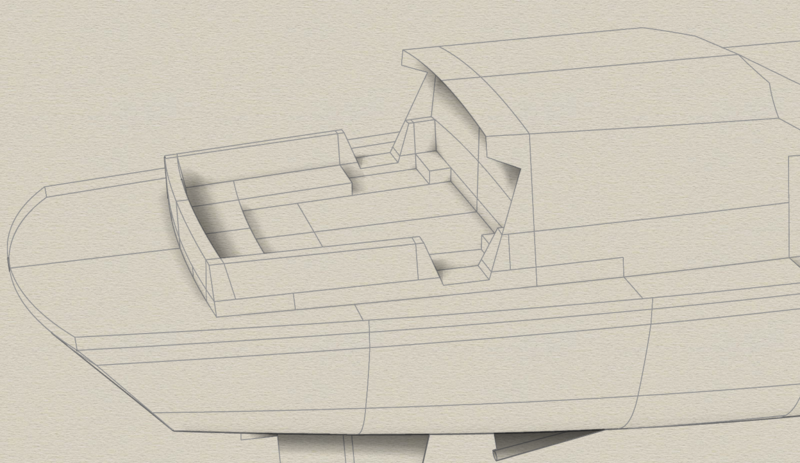 For the sake of accuracy and labor savings during hull fabrication, the structure will be detailed for NC Cutting using our usual CAD Design routines. 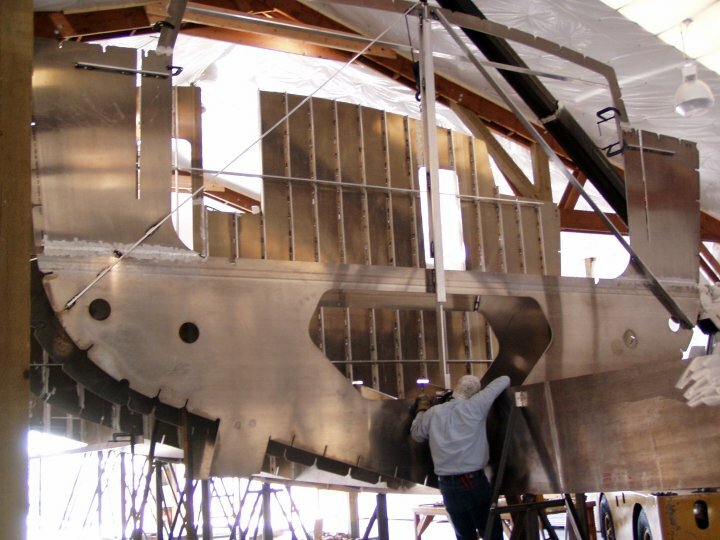 Frames, girders, keelson, stem, engine beds, tank faces and tops, and all hull plating will be detailed and nested, ready for plasma or water jet cutting. 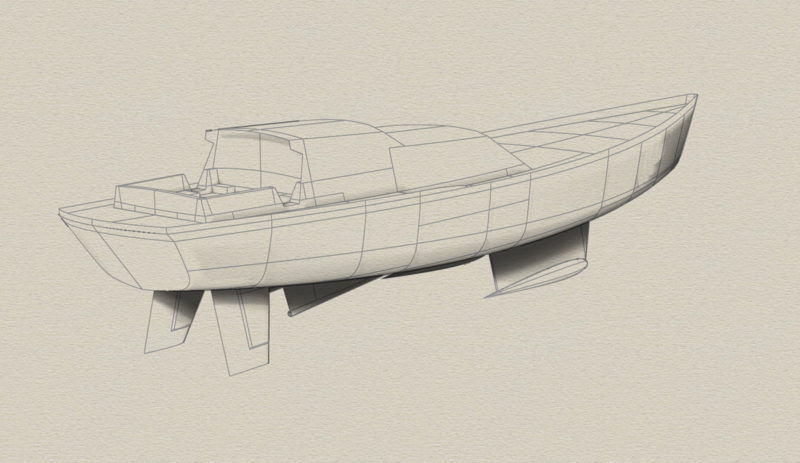 With twin ballasted keels, the Leah - II will be highly capable to windward even with relatively shoal draft. Another bonus... she can sit on the hard when the tide goes out! Being of all aluminum construction, it is possible to leave the hull and decks unpainted except below the waterline, thus reducing maintenance requirements to the minimum. With generous accommodations, the Leah - II will permit her owner to be an excellent host to the many friends and guests who have the good fortune to sail on her. 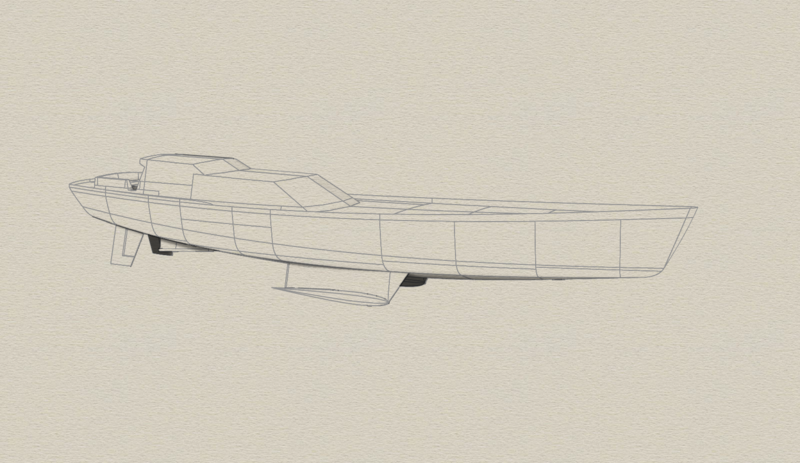 Being a concept design / prototype at this point, the size, layout, keels, houses, etc. can be varied as desired. For more information, please inquire.